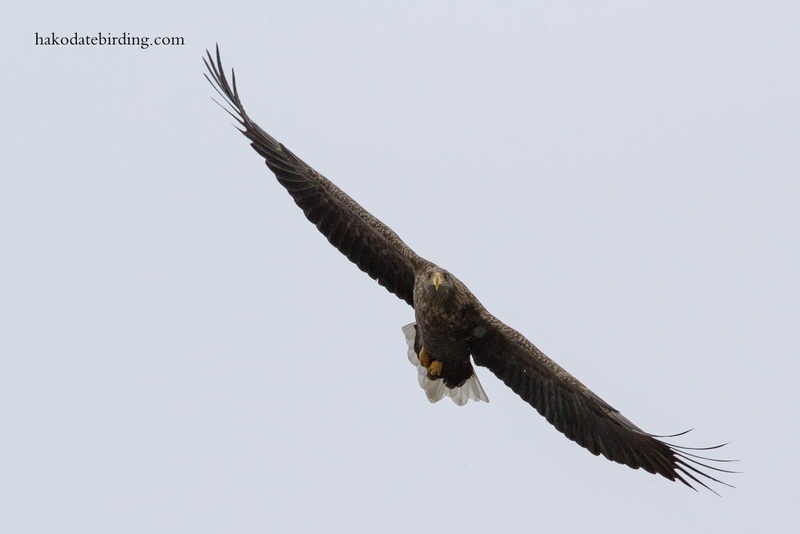 A Stellers Sea Eagle at Yakumo today. It was a day of blizzards and the first really cold day of the season: that's it atumn has gone and winter is here. There were only a few eagles around. 1 or 2 Stellers and around a dozen or so White Tailed Eagles of various ages. Only BIFs today, they were very skittish. Not much else around. The weather put paid to standing around at the rivermouth. The usual common birds were upstream including this Brown Dipper. Very quiet in town last week, I was pretty busy and the weather was lousy anyway. 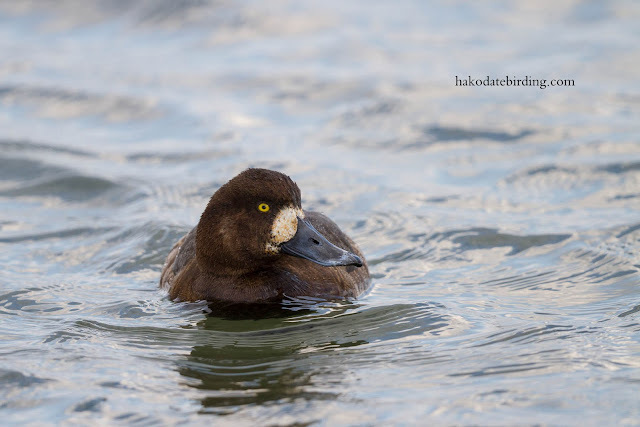 These Scaup were in the harbour at Kamiiso yesterday. 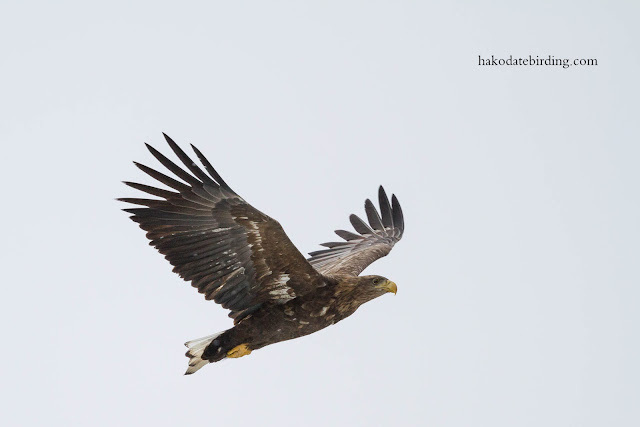 I really like that first one of the Steller's Sea-eagle and look forward to seeing more of them as your winter progresses. 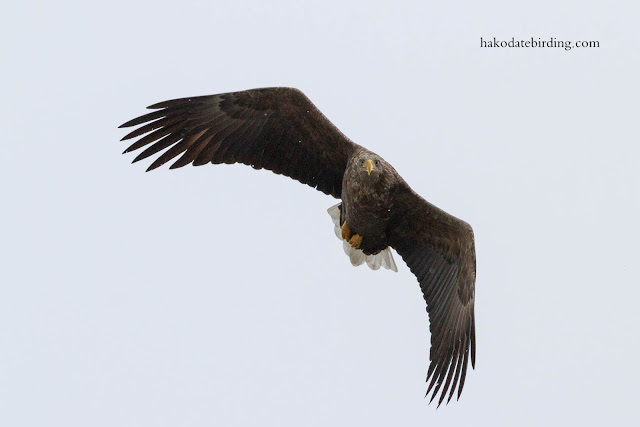 We didn't get such close views of them during our few days on Hokkaido. Great start to winter, Stu! You could stand around all winter in Niigata and fail to get a single photo like any of these. I think you're gonna have some nice cold times ahead of you. 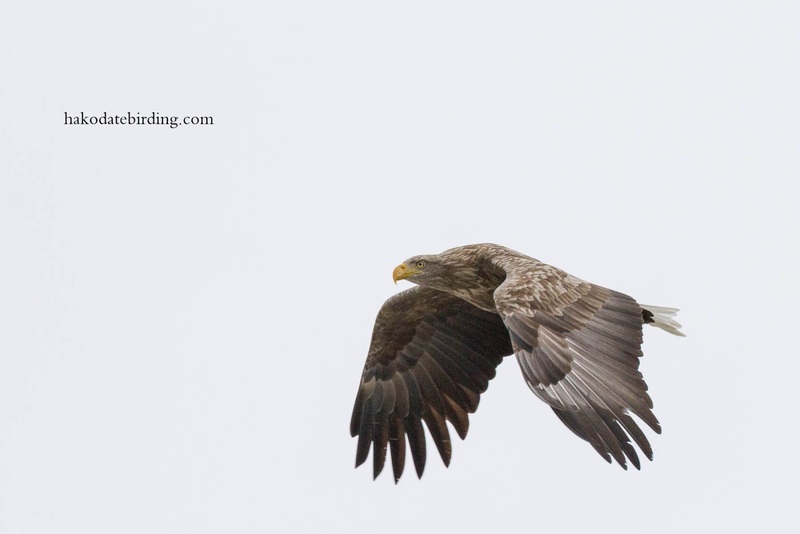 Some great species shown here, the Eagles are obviously magnificent creatures, I like the second image where it is banking round. I could watch Dippers for ages, another lovely bird. BIFs like that will do just fine Stuart. Can't believe your Scaup are so confiding! Don't suppose I'll see any more Snow Bunts, but good luck with yours. Hi Phil, the first ones I ever saw were in Fleetwood about 30 years ago...........and I've never had a better view since. HI Stuart The shots of the Eagles are fantastic. I wouldreally love toseethem. The Dipper is not the same as our one but a great shot. 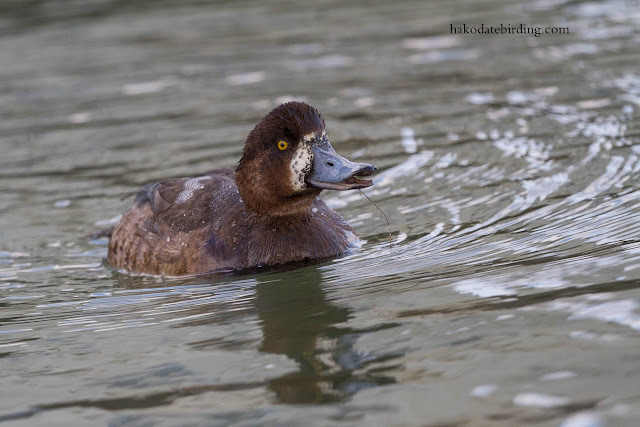 Although we do havesome Scaup I haveneverseen one that close. Lovely BIFs and Scaup + your Dipper is very smart. Hi Dominic, thanks for the comment! 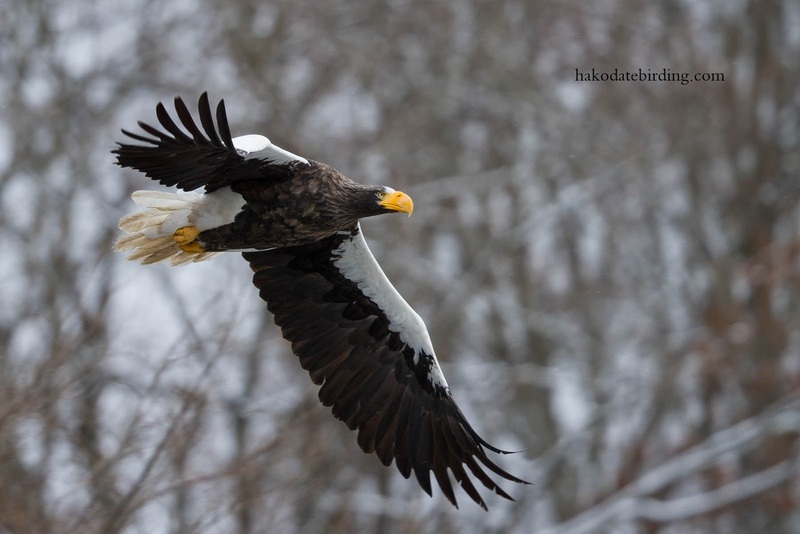 Great pics - I remember standing on the coastal bridge at Yakumo last winter with a Stellar's watching me from a tree top as intently as I was watching him ! Nice to see that the eagles are back! But I'm really envious on your Brown Dipper shot! 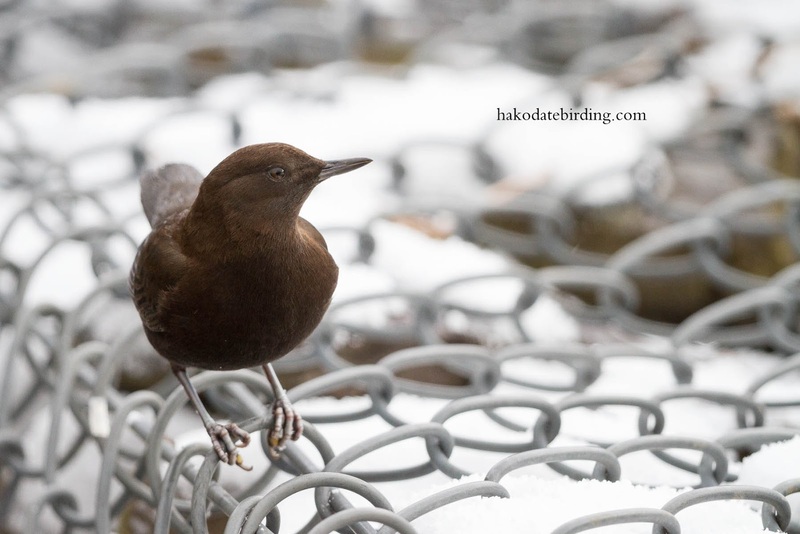 Hi Ayuwat, actually the dippers in western Europe are nicer, I'm sure you'll see some if you head down to the Alps.